In this clip from Andrew Scrivani’s Food Photography workshop on creativeLIVE, the veteran New York Times food photographer answers the top 10 questions he gets about the business of what he does — from pricing to propping to when to say no to a project. Thank you for sharing very nice video.! I really enjoyed it and appreciated it. 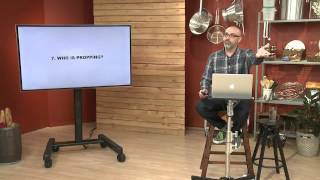 This is a great segment of Andrew Scrivani’s Creative Live episode, A lot of valuable information that is looked over by many new food photographers. Thank you so much for doing this!